The label 'Atheist' is one that its antithesis (Theism) depends on being misrepresented in order to help prevent such a simple concept (as 'Atheism) from making any sense in 'Theistic' circles, and so they can formulate some form of attack against atheists that will fit within their narrative. Responses to those mischaracterizations / lies (by atheists,) that work to correct the lie (such as pointing out the fact that they must lie for their reality to work for them), will ultimately have to pull the theist outside of their narrative... Attempting to pull the theist out side of that narrative almost always invokes ad hominem from the theist. That rejection is based on a lack of substantiation related to the claim. There is nothing that gives merit to the claim that there is a supernatural entity or force that interacts with existence. 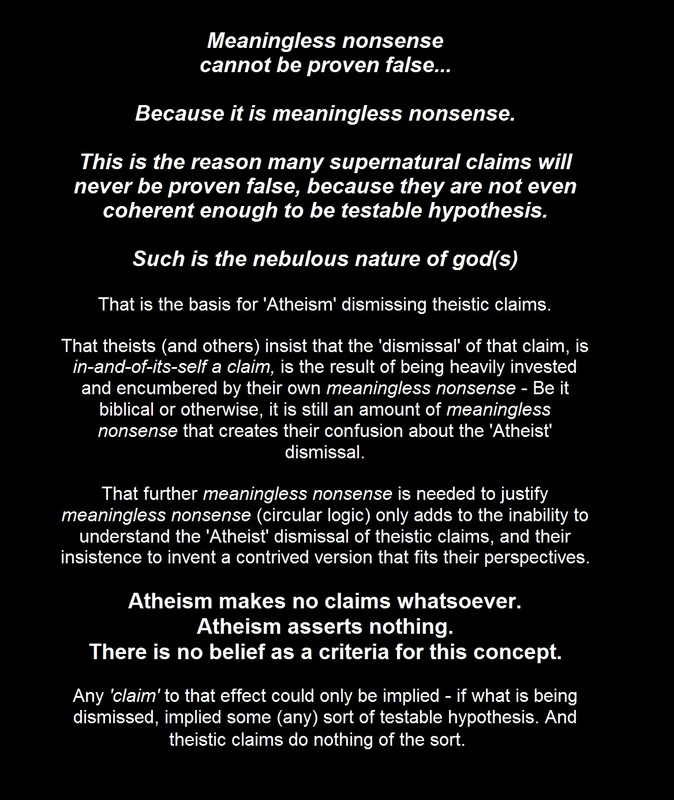 Among other methods, theists NEED to insist that Atheists claim there is no god. In addition to adding confusion to the topic, these are attempts by Theists to put Atheists on the defensive. Another method employed by Theists is them insisting one is Atheist because the atheist "feels angry about religion"
This is yet another typical tactic that is attempting to mischaracterize Atheism as an emotional response. It is the non-acknowledgment / dismissal of a baseless presumption. That dismissal is based on a lack of substantiation related to the claim. There is nothing that gives merit to the claim that there is a supernatural entity or force that interacts with existence. One IS an Atheist as the default setting upon dismissing a claim. One is A-Habanero as the default setting upon dismissing the beverage being offered. There is no belief as a criteria for this concept. That is not the same as anti-theistic methodologies or efforts... 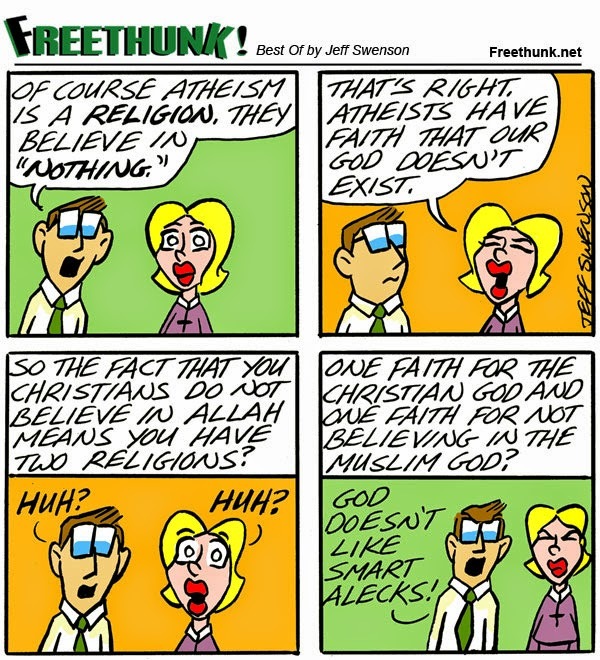 Many (but not all) Atheists are anti-theistic. 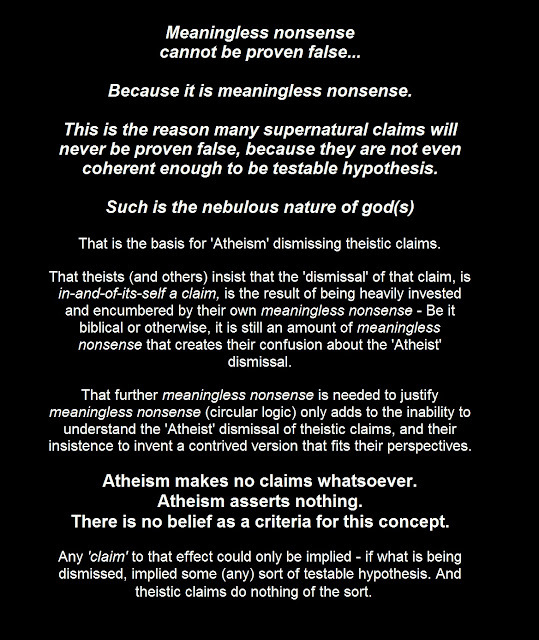 I encourage you to (whenever possible) correct such misinformation, by reminding others what Atheism actually means.